Thinking of ditching your usual bulky tote for a lighter clutch? Great idea! And as they say “life’s too short to be boring”, and really you have the rest of the world wearing and carrying staid stuff, so no harm getting out of your comfort zone for a change. And while you’re at it, some pop culture would be great! This bag reminds us of the album cover of Andy Warhol’s Velvet Underground featuring Nico, which was a huge influence in shaping pop culture in the 70s. Any lovers of art rock and punk rock, yes? Get this now! Wanna ask that annoying bloke to shut up? 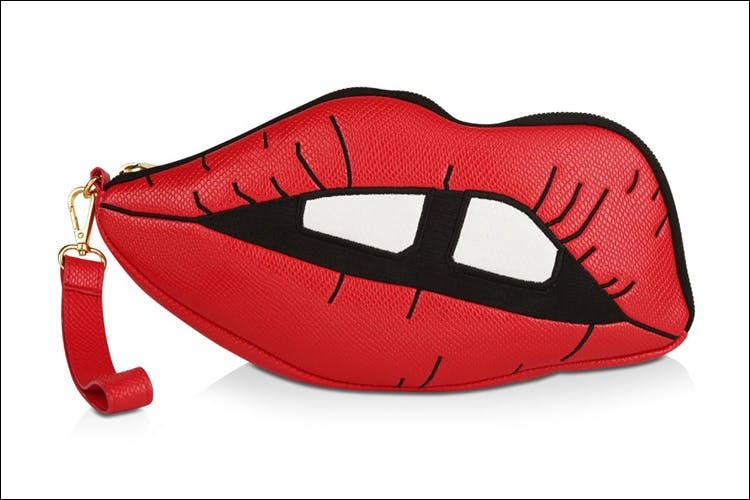 Say nothing, just show him this bag, and he’ll get it that you want him to zip his lips up! Didn’t think this would make life so much easier, did you?